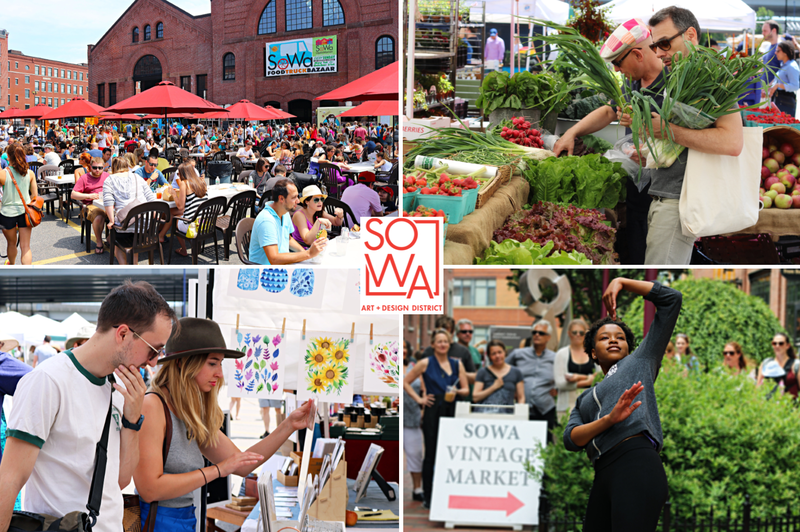 In four weeks the SoWa Open Market 15th season will open and this year the organizers have announced a new beer hall and taproom, housed in the iconic SoWa Power Station will be a part of the market every Sunday, from May 6 through October 28, 2018. Partnering with the Craft Collective, more than 60 curated “adult beverages” from local breweries will be featured in this year’s “SoWa Beer Barn”. In addition to great beer, there will also be lawn games, live music, yoga classes, and lots of food trucks. In addition to the new beer hall and food trucks located by the Gaslight parking lot, further up the street the Market will host their weekly farmer’s market as well and continue to feature artisans every Sunday, May 6 – October 28, 2018 from 10 AM – 4 PM. This entry was posted in Free Stuff, SoWa and tagged BosGuy, Boston Guy, SOWA. Bookmark the permalink.